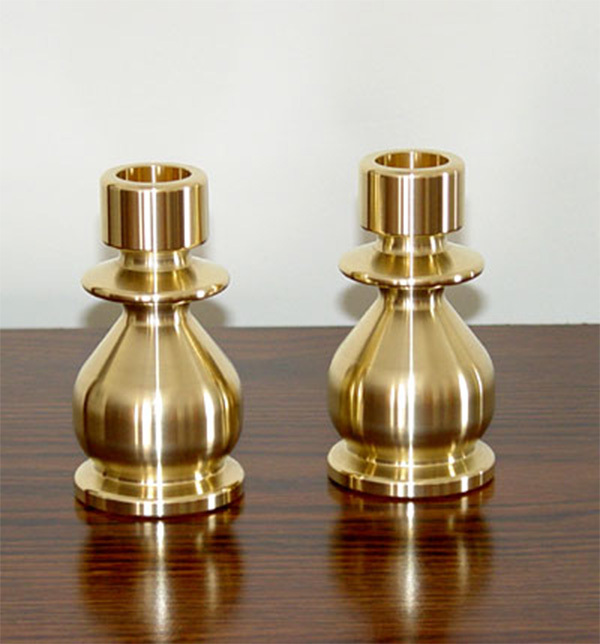 Lex Brass (d.b.a. 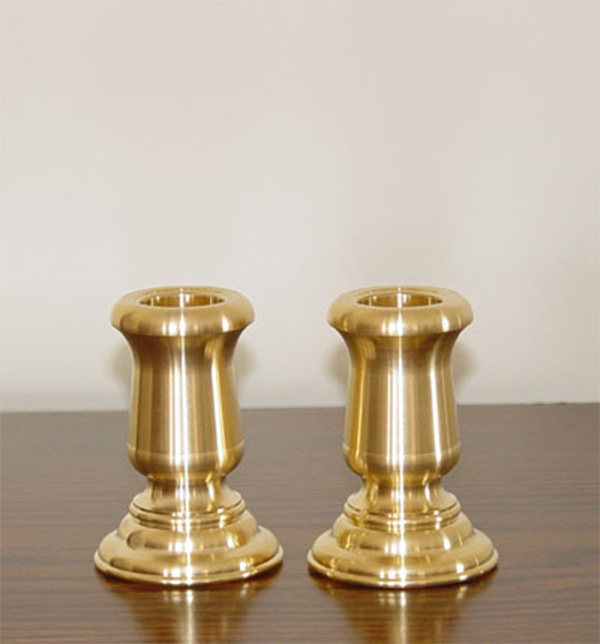 Lex Tooling), is a candlestick holder manufacturer and distributor, was established in 2003 with the intentions of producing a solid 1-piece brass candlestick holder. 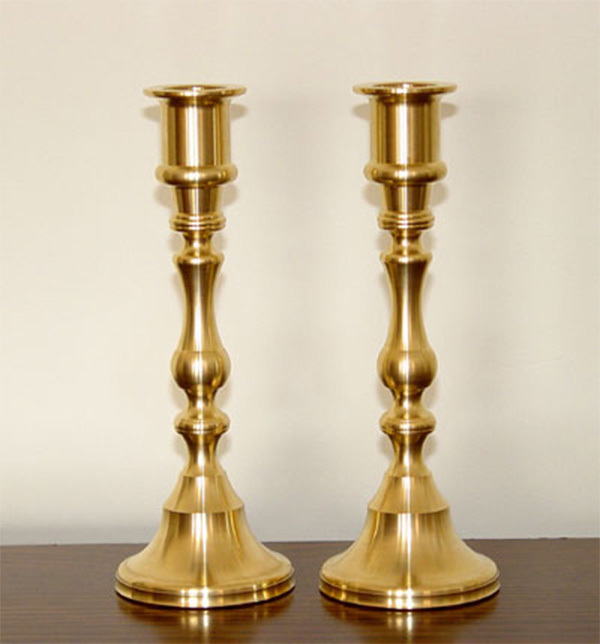 The main goal was to create an item of superior quality that far exceeds that of the typical cast style candlestick holders that are currently manufactured throughout the world today. Although these cast candlestick holders are attractive, they are light in weight as compared to a solid 1-piece candlestick holder that has been machined from a solid brass bar. 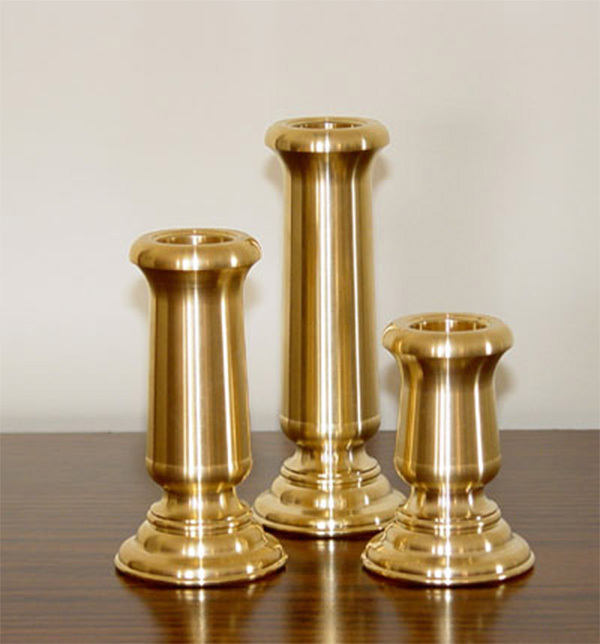 We believe that the weight of our candlestick holders along with their overall appearance and variety will speak for themselves. 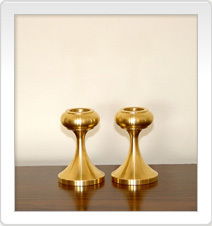 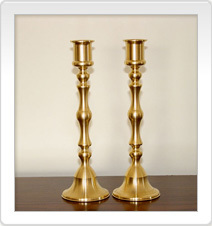 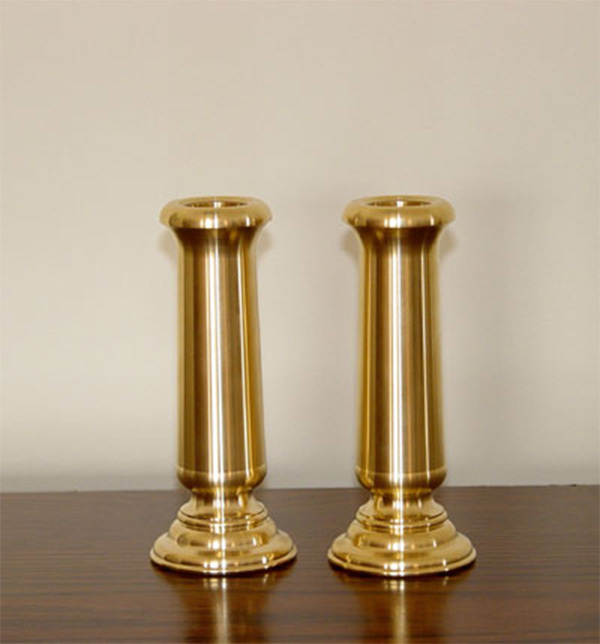 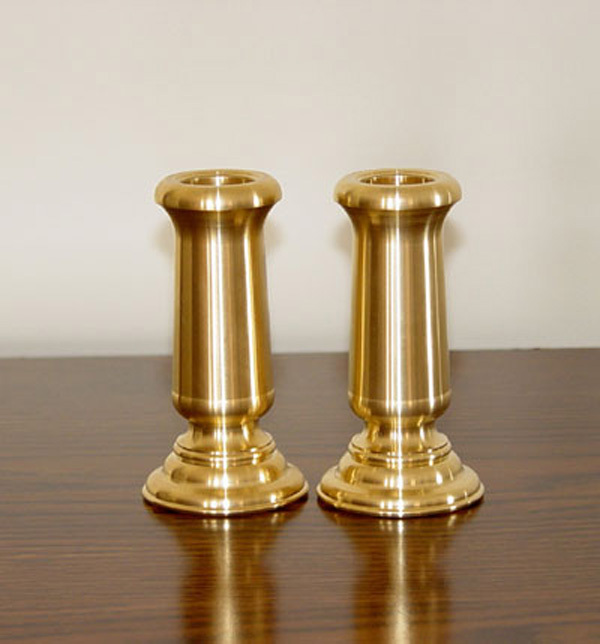 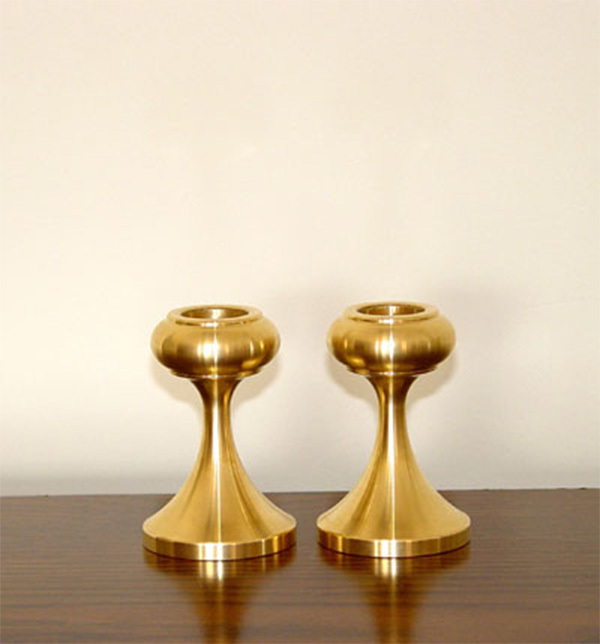 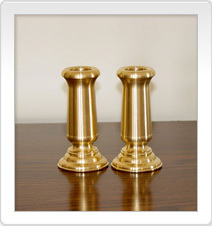 Our brass candlestick holders are decorative and make wonderful wedding, anniversary, or special event gifts. 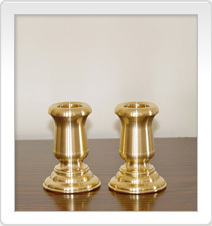 All candlestick holders are made in the USA. 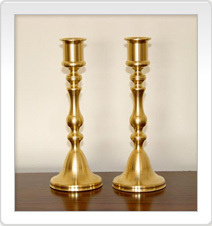 Wholesalers may call for pricing and availability. 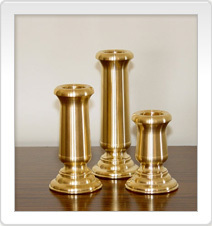 Order fulfilled Monday - Friday 9 a.m. - 5 p.m. EST. 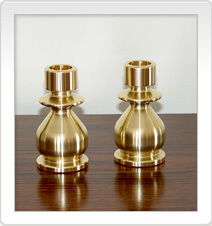 Please use this form to place credit card orders or call with your order: 765-675-6301. 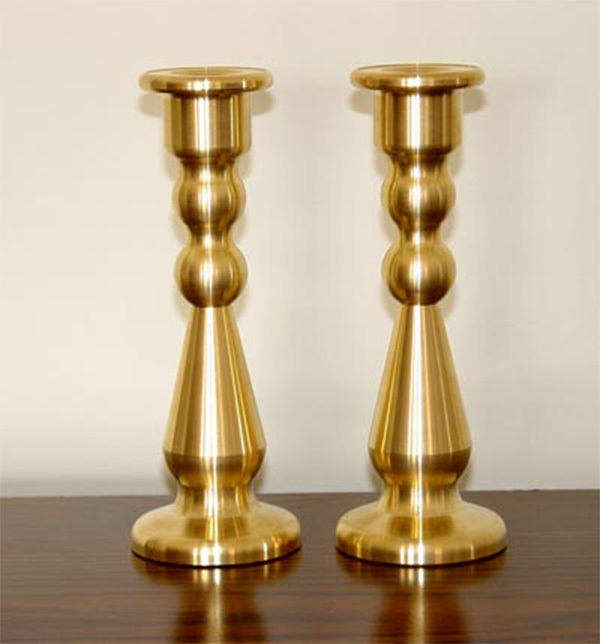 Notes: Indiana purchases require 7% sales tax. 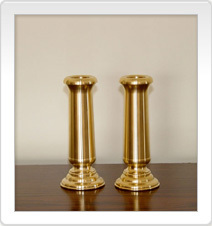 The least expensive method of shipping is used. 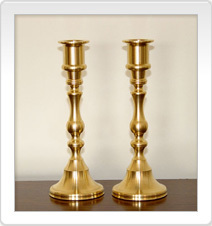 We will calculate the order and shipping when the order is processed. 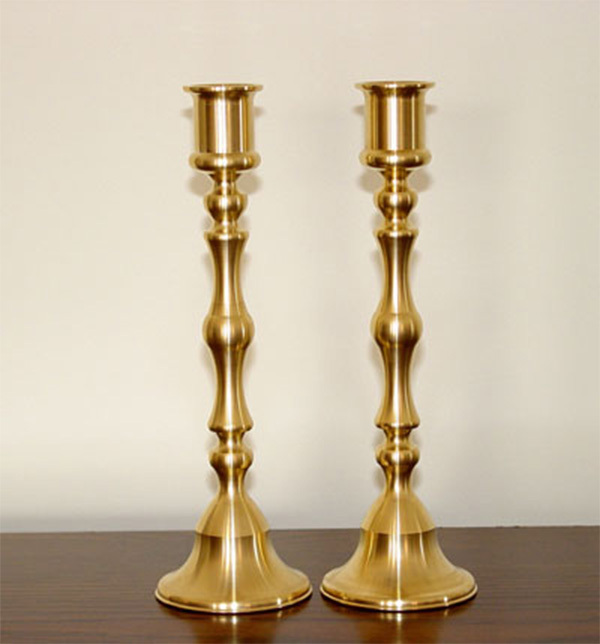 If you wish the final charge emailed before completing the order, please signify by answering below. 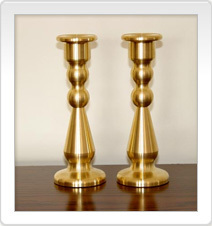 You may skip entering a credit card and its details if you wish to pay by phone for added security.